Gone are the days when a fresh coat of paint or a quick swap of a few fixtures to get a nicely staged room were crucial elements of an appealing house. Today’ home-buyers expect a little more. According to a survey done by Better Homes and Gardens, about 64 percent of the millennial homebuyers surveyed valued smart home technology as the primary factor when purchasing a home. Another study by Houzz found that 24 percent of current homebuyers would consider smart home technology features in any home renovation. Hence, this is a market you may consider taking the plunge for real estate agents. From smart thermostats and automated lighting to key-less entry systems and intelligent appliances, home automation boosts of both appeal and property value while delivering three key things; makes life easier, saves cost, creates a secure home environment while ensuring the presence of a modern home based on Internet of Things (IoT). Realtors indicate that these unique features can help improve a home’s appeal when it comes time to sell. To learn more, let’s dive deeper into smart home technology additions for your home to help boost your property value. Thermostats have been around for decades, but most of them are complex to figure out and use. The newer, smart thermostats incorporate intuitive manual control and plenty of other impressive features such as voice control and geofencing to control the temperature from your smartphone. Think of how easy it can be to control the room temperature from your Galaxy Note8. They can also automatically adjust settings to sense when you are home. These features are not only convenient but also help you save money in your home. The artificial illumination is a great appeal for any property. Smart home lighting technology allows you to pre-set schemes to conveniently turn on or off lights at the press of a button from your phone. You can actually choose the level of light like slowly glowing brighter when you wake up or automatically switch off when you leave home. It is also possible to save on energy with smart lighting technology. Of course, this may vary with the level of usage. With a smart door lock, you won’t need to carry a key again or hide one in a fake flower pot. Instead, these Bluetooth and Wi-fi-enabled devices can automatically unlock the door when you arrive home. All this can be done on your smartphone. What’s more, you can program them to allow access to selected people including friends, family members and real estate agents. A smart security system at home is a great advantage for homebuyers of all ages. In fact, a recent survey showed that 90 percent of people indicated home security as a primary reason to buy a home with smart technology. So for real estate agents, incorporating a smart security system is the way to increase demand and value for your property on sale. 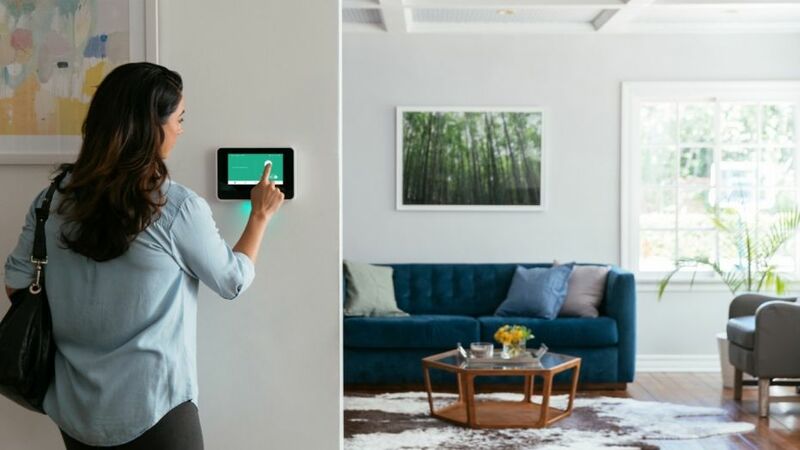 Although each of these upgrades has a different return on investment when it comes to cost, there is no doubt that each of the smart home additions is a bonus that can add value and appeal to a home. When dealing with home technology, home sellers need to consider cost, location and appreciation value for long-term financial rewards and at the same time provide value to home-buyers.